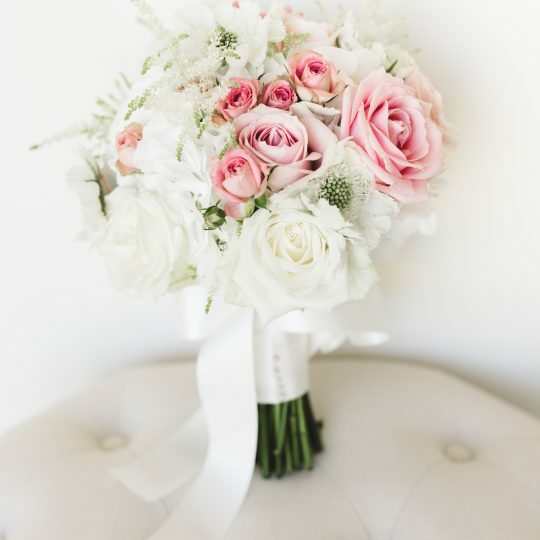 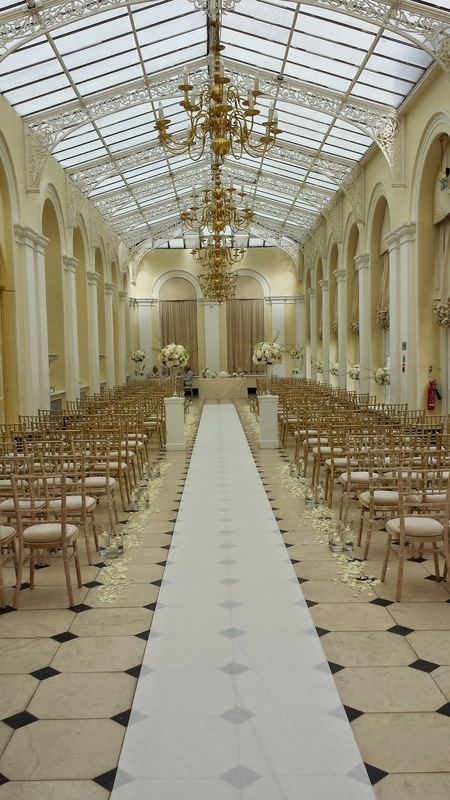 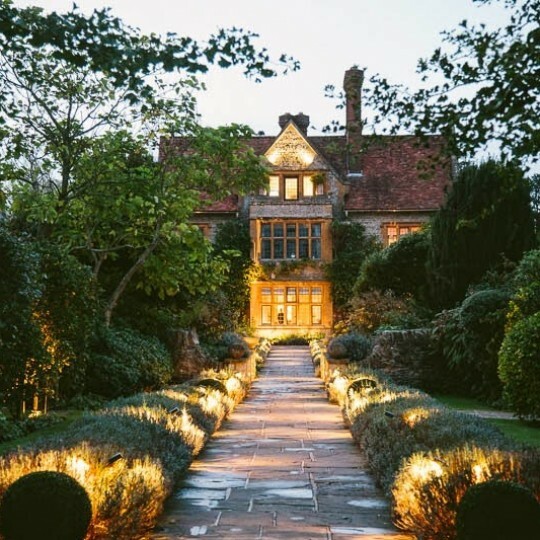 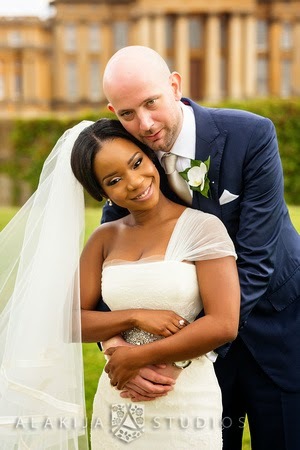 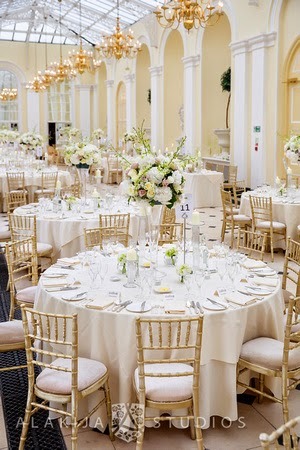 Tim and Tanwa's elegant Blenheim Palace wedding flowers, Oxfordshire - Joanna Carter Wedding Flowers | Oxford, Oxfordshire, Berkshire, Buckinghamshire and London. 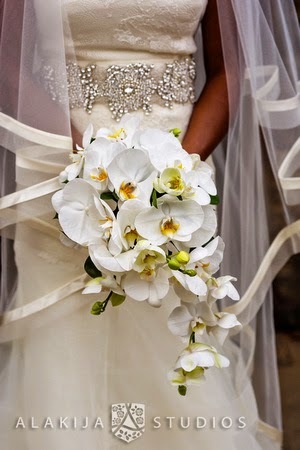 For her bouquet she chose a simple but elegant bouquet of white phalaenopsis orchids with a slight trail. 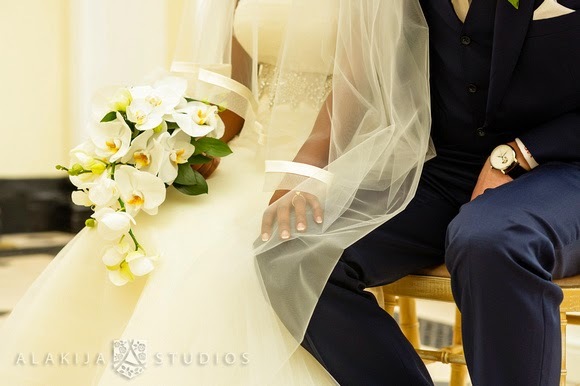 It was the perfect accompaniment to her gorgeous Vera Wang dress. 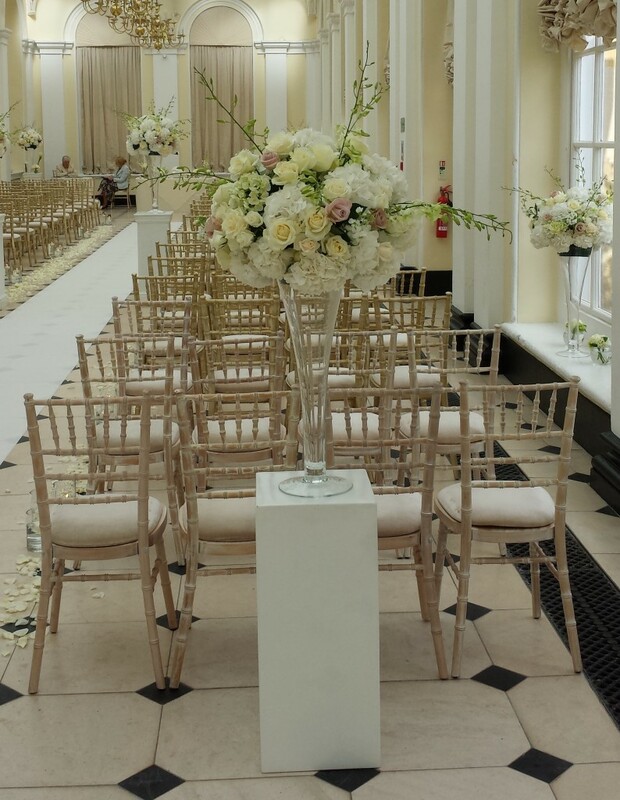 In the Orangery we placed tall flute vases on plinths at the top and bottom of the aisle, as well as on the deep windowsills. 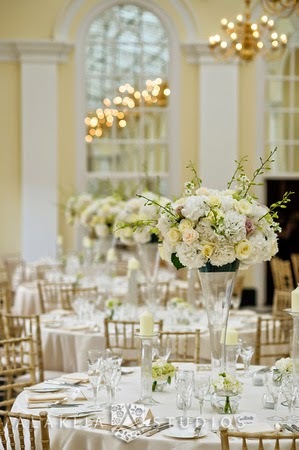 We also placed clusters of glass cylinder vases filled with floating candles at intervals up the aisle and scattered a thick band of ivory rose petals on the floor around the vases. 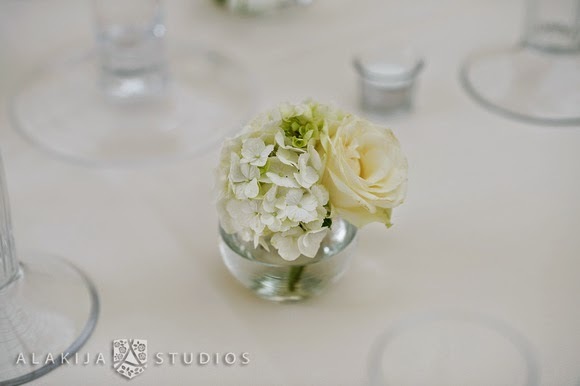 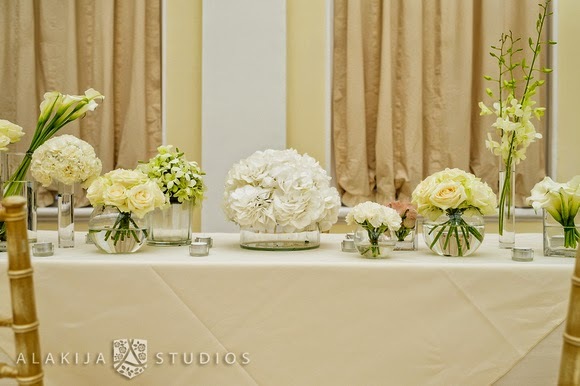 We placed a mix of 12 different vases filled with white and blush pink flowers including hydrangea, roses, cala lilies and singapore orchids on the registrar’s table along with tea lights and candlesticks. Following the ceremony we placed the flute vases on the guest dining tables while the flowers from the Registrar’s table were moved to the top table. 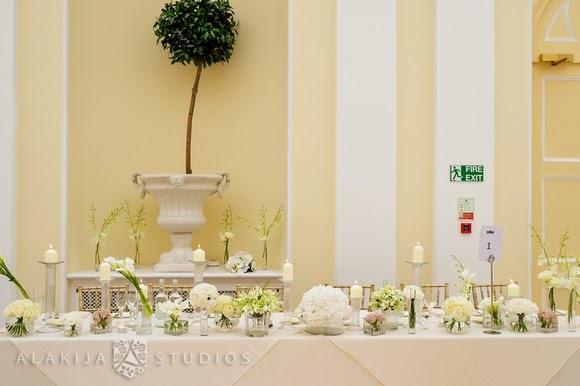 The top table had the mixed vases with lovely crystal candlesticks at different heights in amongst them. 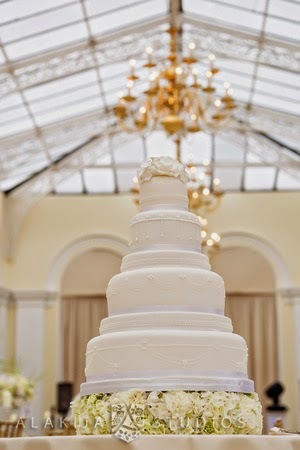 We made a thick garland of hydrangea and roses for the cake to sit on. 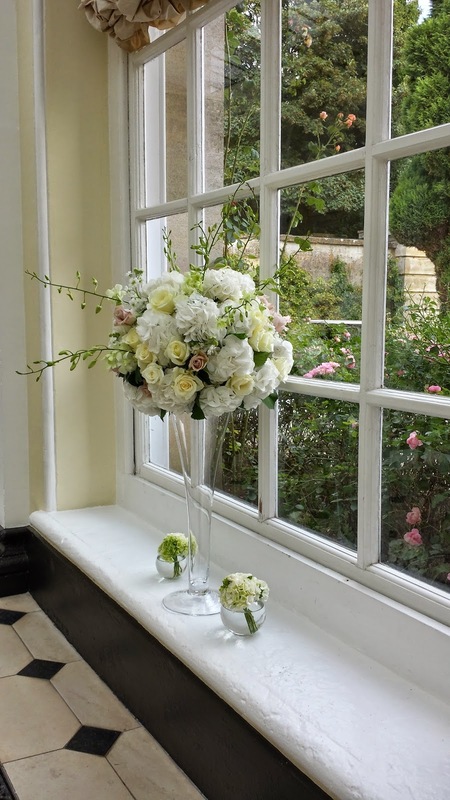 It was a very simple design but it looked lovely. 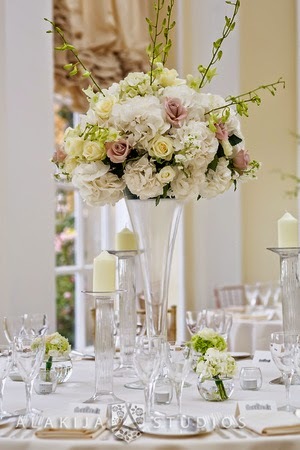 and echoed the table centre flowers beautifully.